First settled in 1659, Hadley was officially incorporated two years later. Microfilm records of the town consist primarily of minutes of town meetings along with nineteenth century transcriptions. A local branch of the national political party, the Hadley Greens organize around the principles of environmentalism, social justice, and non-violence, along with a general opposition to corporate dominance of the political process. This small collection contains bylaws of the Hadley Green Party, minutes of meetings (2003), materials on organizing, and an assortment of notes, newsletters, correspondence pertaining to salient issues in the 2004 election, a t-shirt, banner, and pinback buttons. A local, grassroots organization, Hadley Neighbors for Sensible Development coalesced in the early 2000s to advocate for environmentally and socially responsible development in Hadley, Mass. Working through the town planning board and town meeting, the group successfully opposed the construction of Walmart Superstore in town and worked to mitigate the impact of Lowes and other big box stores along the Route 9 corridor. A miscellaneous assortment of documents relating to work in town meeting and with the town planning board, the collection includes notes, newspaper clippings, and assorted background information. An ornithologist and conservationist for the Commonwealth of Massachusetts, Joseph A. “Archie” Hagar’s career was rooted in the generation of naturalists such as William Brewster, Edward Howe Forbush, and Arthur Cleveland Bent. Born in Lawrence, Mass., on May 13, 1896, Hagar’s undergraduate career at Harvard was interrupted by service in the First World War, after which he completed his studies at the Massachusetts Agricultural College, graduating with the class of 1921. An expert field biologist and ecologist, he was appointed State Ornithologist in the Department of Fish and Game in November 1934 serving in that position for almost twenty five years. A specialist in waterfowl and raptors, Hagar was deeply involved in early conservation efforts in New England, noted for his work on wetland conservation and for linking the use of DDT with eggshell thinning in peregrine falcons, and he was famously at the center of a dispute with the U.S. Fish and Wildlife Service over the design of the Parker River Wildlife Refuge. Never a prolific writer, he was an active member of the American Ornithological Union, the Nuttall Ornithological Club, the Wildlife Society, and other professional organizations, and after retirement, he was specially cited for his work in waterfowl conservation by Ducks Unlimited. Active until late in life, he died at home in Marshfield Hills on Dec. 17, 1989. 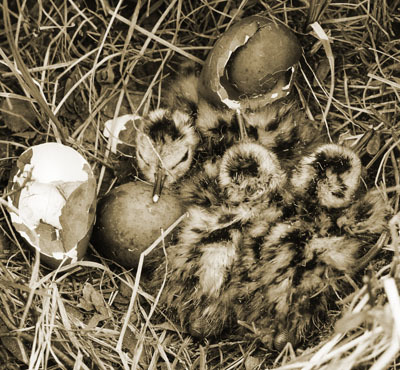 The Hagar Papers are a deep and valuable resource for the study of New England birds and the growth of modern conservation biology. With abundant professional correspondence, field notes on shorebirds and raptors, and drafts of articles, the collection documents the full range of Hagar’s activities as State Ornithologist, including a particularly thick run of material for the controvery over the Parker River Wildlife Refuge. Hagar also acquired a set of field notes, 1897-1921, from the Harvard ornithologist John E. Thayer. Western Massachusetts political leader, publisher, and banker (1881-1960), Trustee of the University of Massachusetts (1940-1956), and founder, editor and publisher of the Greenfield Recorder newspaper (1912-1928); political positions included State Representative (1909-1913), State Senator (1913-1915, 1923-1927), and State Treasurer (1929-1930); in 1934, was Republican candidate for Lieutenant Governor, and in 1936, candidate for Governor. The Haigis collection includes scrapbooks (1903-1936), chiefly of clippings, together with speeches (1936), posters, badges, campaign material, and photographs, mainly from Haigis’s unsuccessful campaigns for lieutenant governor (1934) and governor (1936); and tape of an interview (1974) with Leverett Saltonstall about Haigis, conducted by Craig Wallwork. 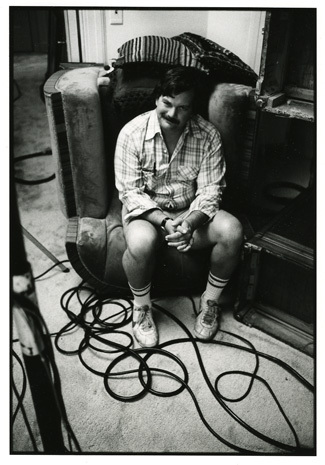 An actor and motion picture assistant director and producer, Michael Haley was born in Pittsfield, Mass., in 1942. While an undergraduate student at UMass Amherst, Haley became involved in theater, joining the avant garde Buffalo Meat Company that performed original works in Massachusetts and New York City. Following a chance call from a producer looking for local help in 1969, Haley worked on his first film, the low-budget crime drama, Honeymoon Killers. After work on several other film and television productions, Haley was among ten people selected for the Directors Guild of America’s Assistant Directors Training Program. During his forty year career, Haley’s credits have included work with a number of noted directors, including Sidney Lumet, Barry Levinson, and Penny Marshall, and he has enjoyed a particularly long and productive association with Mike Nichols. His films have included The Taking of Pelham One Two Three, The Stepford Wives, Biloxi Blues, True Colors, A League of Their Own, Groundhog Day, Primary Colors, and Closer. He was the recipient of two Humanitas Prizes (for Wit and Angels in America), and among others awards, the Christopher Award (for Wit), the Directors Guild of America award, Producers Guild of America award, and an Emmy (for Angels in America), a Directors Guild of America plaque (Working Girl), and the Berkshire International Film Festival Life-Time Achievement Award. He was named Artist of the Year at UMass and has been selected for a Bateman Fellowship. Reflecting a diverse career in film, the Haley collection consists of scripts, photographs, memorabilia, and diaries, with a small quantity of notes and correspondence. The scripts, approximately 110 of them, are from films ranging from the Godfather II to Charlie Wilson’s War and Angels in America, may include several drafts. The photographs are both numerous and particularly rich, including some particularly interesting candid shots taken on film sets, as well as official shots taken by photographers such as Mary Ellen Mark. Residents of Worcester, Mass., Madeline and Winthrop Goddard Hall were part of an extended community of young friends and family associated with the American Board of Commissioners of Foreign Missions, including Charlotte and Edwin St. John Ward, Margaret Hall, and Ruth Ward Beach. From 1907 to 1914, Edwin Ward was sent as a missionary to the Levant, working as a physician and teacher at Aintab College in present-day Turkey and Syrian Protestant College in Beirut. Margaret Hall and Ruth Beach were stationed in China, teaching in Tientsin, at the Ponasang Women’s College in Fuzhou, and at the Bridgeman School in Shanghai. The Hall Papers include 67 lengthy letters from the Ottoman Empire and China, the majority from Charlotte and Edwin Ward. Intimate and often intense, the correspondence provides insight into the social and family life of missionaries and gives a strong sense of the extended community of missionaries. Writer, editor, and educator, Anne Halley was born in Bremerhaven, Germany in 1928. 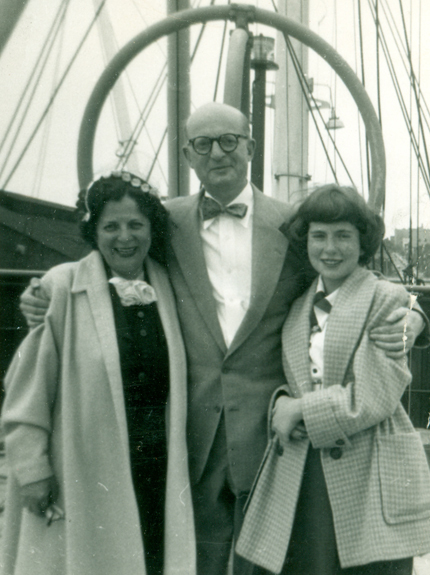 A child during the Holocaust, she relocated with her family to Olean, New York during the late 1930s so that her father, who was Jewish, could resume his practice of medicine. Graduating from Wellesley and the University of Minnesota, Halley married a fellow writer and educator, Jules Chametzky, in 1958. Together they raised three sons in Amherst, Massachusetts where Chametzky was a professor of English at UMass and Halley taught and wrote. It was during the late 1960s through the 1970s that she produced the first two of her three published collections of poetry. The last was published in 2003 the year before she died from complications of multiple myeloma at the age of 75. Drafts of published and unpublished short stories and poems comprise the bulk of this collection. Letters to and from Halley, in particular those that depict her education at Wellesley and her professional life during the 1960s-1980s, make up another significant portion of her papers. Publisher’s correspondence and a draft of Halley’s afterward document the Chametzkys effort to release a new edition of Mary Doyle Curran’s book, The Parish and the Hill, for which Halley and Chametzky oversaw the literary rights. Photographs of Halley’s childhood in Germany and New York as well as later photographs that illustrate the growth of her own family in Minnesota and Massachusetts offer a visual representation of her remarkable professional and pesonal life. Born in 1902, Carl Halpern grew up in the Bronx where he attended elementary school. Upon leaving school, he took several jobs, including shoe salesman and accounting clerk, before he was hired as an errand boy in 1917 at the Electro-Chemical Engraving Company. Halpern stayed with the company for more than 40 years, retiring as an Executive Vice President. The collection consists chiefly of materials relating to Halpern’s tenure at Electro-Chemical Engraving Company, including company reports and inter-company memos, advertisements for products, and other materials related to the business. Of singular importance is Halpern’s memoir, which intertwines his personal history with that of the company during the nearly five decades he was associated with the business. As a contributor to the Atlas of Massachusetts, Professor Joel Halpern collected data and articles in support of his essay published in the “Ethnic Groups” section. The collection consists primarily of drafts of his essay and research notes.